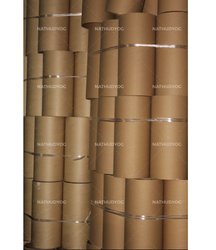 Incepted in the year 1982, at Noida (Uttar Pradesh, India), we, Nath Udyog, are engaged in manufacturer, exporter, importer and supplier of a comprehensive assortment of Paper Products. 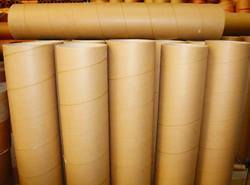 Our offered range of products includes Paper Packaging Tubes, Paper Cores, Paper Drums. The offered products are manufactured using the finest grade raw material and sophisticated technology at our hi-tech manufacturing unit. Keeping in mind the variegated demands of our esteemed clients, our wide product range is manufactured as per their variegated requirements. We export our products to South east asia and import from China. Offered assortment is widely acknowledged among clients for their tear resistance, optimum finish, smooth texture, durable finish and longer life. Our product gamut is designed with high precision in order to meet the set universal standards. We make available these products in various sizes, patterns, designs, prints and shapes. 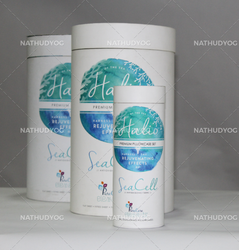 We are offering these products to our prestigious clients? at the most economical price range. We are making Paper Tubes ranging I.D. from 13mm to 500mm upto length of 7meters. Our plant has a capacity of producing 5 lakhs meters of material per month. 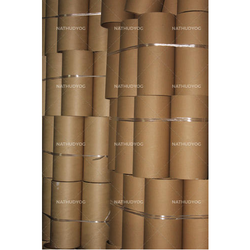 We are looking for Paper Composite Container,Paper Composite Cans,Paper Card Board Tube inquiries from Delhi, Delhi NCR, , Mumbai, Chennai, Kolkata, Bangaluru, Ahmedabad, Hyderabad, Lucknow, Kanpur, Varanasi, Jaipur, Jodhpur, Ajmer, Bikaner, Kota, Bhiwadi, Udaipur, Bhilwara, Alwar, Agra, Meerut, Aligarh, Allahabad, Banaras, Mathura, Jhansi, Ghaziabad, Noida, Greater Noida, Gautam Budh Nagar, Dadri, Bareilly, Moradabad, Saharanpur, Uttar Pradesh, Punjab, Chandigarh, Jalandhar, Amritsar, Ludhiana, Bathinda, Pathankot, Patiala, Hoshiarpur, Himachal Pradesh, HP, UP, MP, Shimla, Dharamshala, Uttrakhand, Dehradun, Haridwar, Roorkee, Rudrapur, Rishikesh, Nainital, Udham Singh Nagar, Indore, Bhopal, Jabalpur, Gwalior, Ujjain, Satna, Dewas, Gujrat, Surat, Vadodara, Rajkot, Bhavnagar, Jamnagar, Gandhinagar, Karnataka, Davanagere, Belgaum, Hubli, Chitradurga, Tamilnadu, Coimbatore, Madurai, Salem, Trichy, Tiruppur, Erode, Vellore, Kerela, Kochi, Thiruvananthapuram, Kozhikode, AP, Andhra Pradesh, Visakhapatnam, Vijayawada, Warangal, Guntur, Nellore, West Bengal, Asansol, Siliguri, Durgapur, Bardhaman, Bihar, Patna, Gaya, Bhagalpur, Muzaffarpur, Jharkhand, Jamshedpur, Dhanbad, Ranchi, Assam, Guwahati, Agartala, Shillong, Haryana, Karnal, Ambala, Panipat, Rohtak, Hisar, Faridabad, Gurgaon, IMT Manesar, Maharashtra, Pune, Nagpur, Thane, Nasik, Aurangabad, Rajasthan, Goa, Jammu, Srinagar, J&K, Chhattisgarh, Raipur, Bhilai, Bilaspur, Korba, Odisha, Bhubaneswar, Cuttack, Rourkela, Navi Mumbai, Virar, Kalyan, Bhiwandi, Puducherry and all over India.